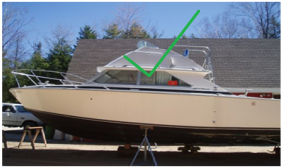 Check to see if your leg/ outboard are fully functional and tilts all the way up and down if not functional please let Slip – Away know. Make sure all measurements are correct. E.g: Height, length and width. Drain fuel and water tanks as much as possible. Have the boat ready to load when the truck arrives at its scheduled time. 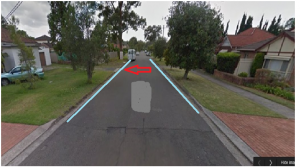 Advise Slip – Away if drop-off destination is located in a busy street or main road. Most importantly make sure our truck and trailer is accessible at your location. the street clear day of delivery. Please note that these measurements are required so we can get the trailer in. 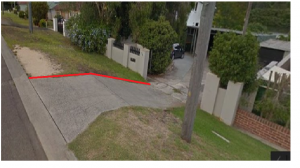 RED LINE: The red line indicates the width of your drive way which needs to be measured. Please notify Slip- Away of measurement. 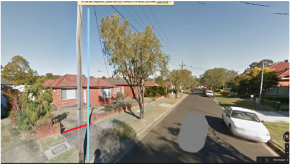 BLUE LINE: The blue line indicates the overhead powerlines connecting to your house. These powerlines need to be taken into consideration compared to the height of your boat. have a steep driveway so an inspection can occur before transport date. 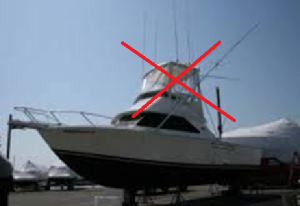 , Ariel and fishing trawlers must all be down for transport. We are based in Sydney.